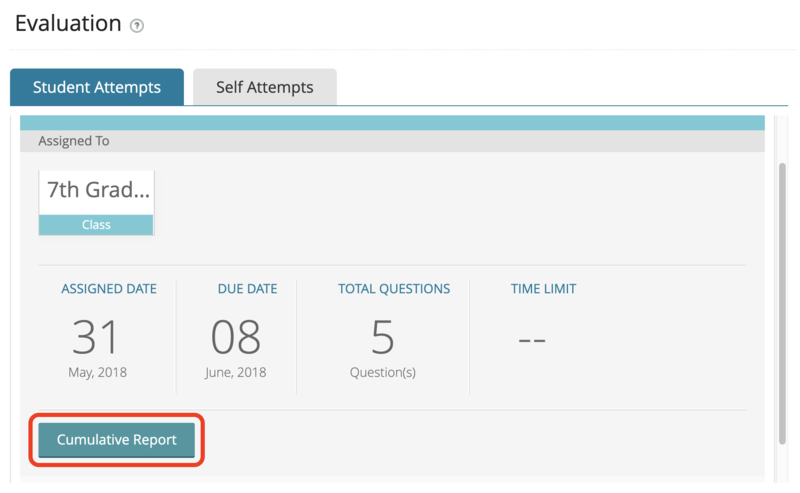 How to I view test/assessment data reports? 1. 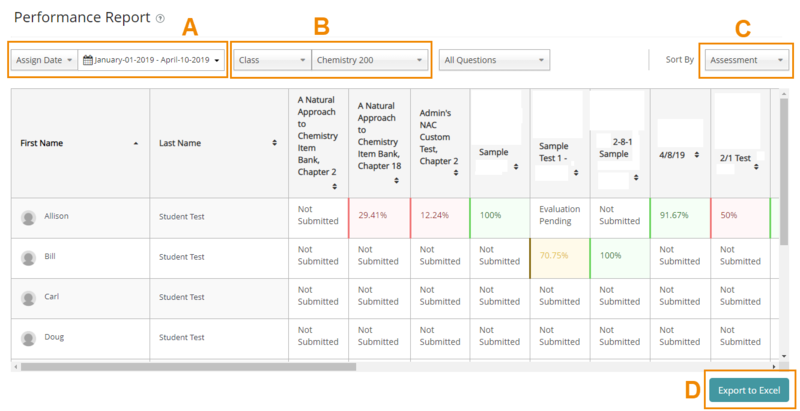 Once all students have been evaluated, select Assessment >> Evaluation and click on the test of your choice. From this summary menu, select Cumulative Report. This will provide an overview of how students performed individually and collectively on the test. If you assigned the test to multiple Classes or Groups, you can view that subset of students by selecting the Class/Group from the drop down menu in the top-right corner, then selecting View Report. 2. Click the Export to Excel button to export this data. 3. 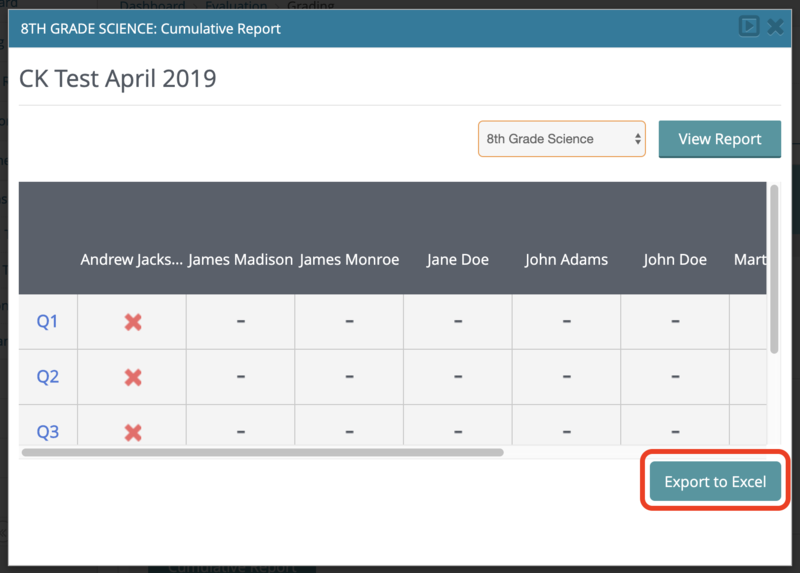 Export the file for each Class/Group that you assigned the test to by selecting each Class/Group from the drop down menu, click View Report, and then click Export to Excel.